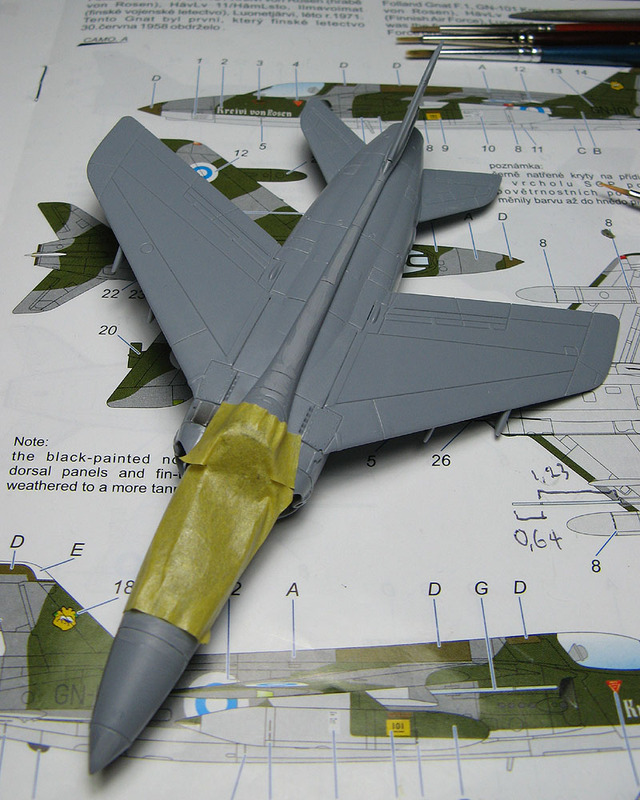 This weekend I'm hoping on getting the air scoops and other small details before a 1st Primer Coat. Eetu: great build and engeneering so far - looks very good despite the issues you have. Thanks! 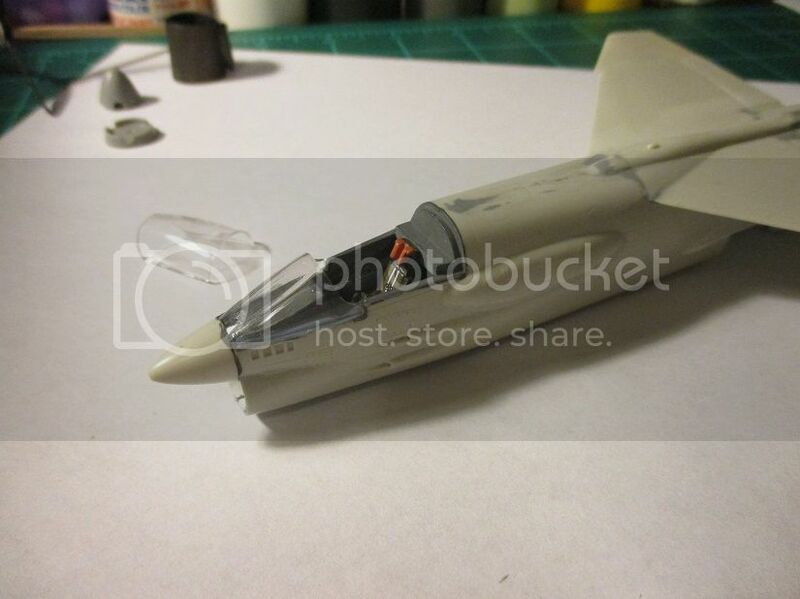 And yeah, I feel the nose cone fit issue was more cause by my ham-fisted parts trimming rather than the kit itself. And even weirder, your new picture shows that "3rd party hosting temporarily disabled" error message, while my new newest ones don't. Edit: alright, it appeared they rolled out this change to users' account gradually. Happened for mine eventually too. Beautiful work in this campaign, guys! 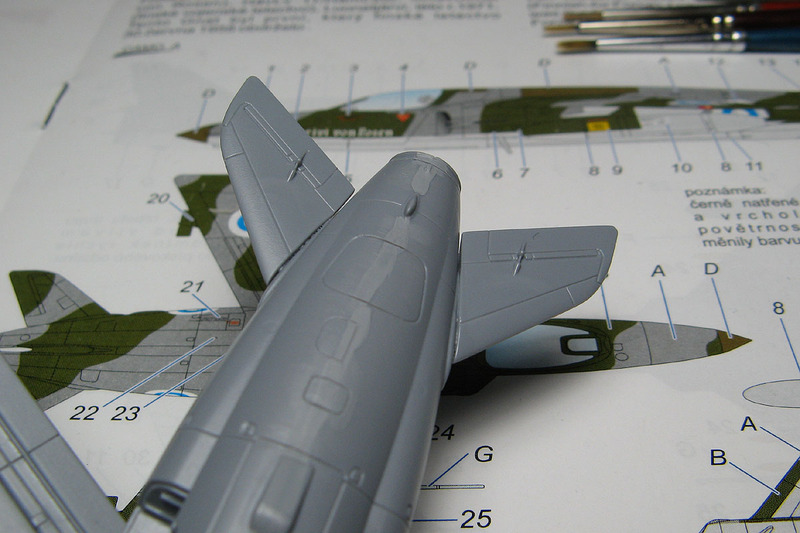 Mark: Very good progress on your F-8. 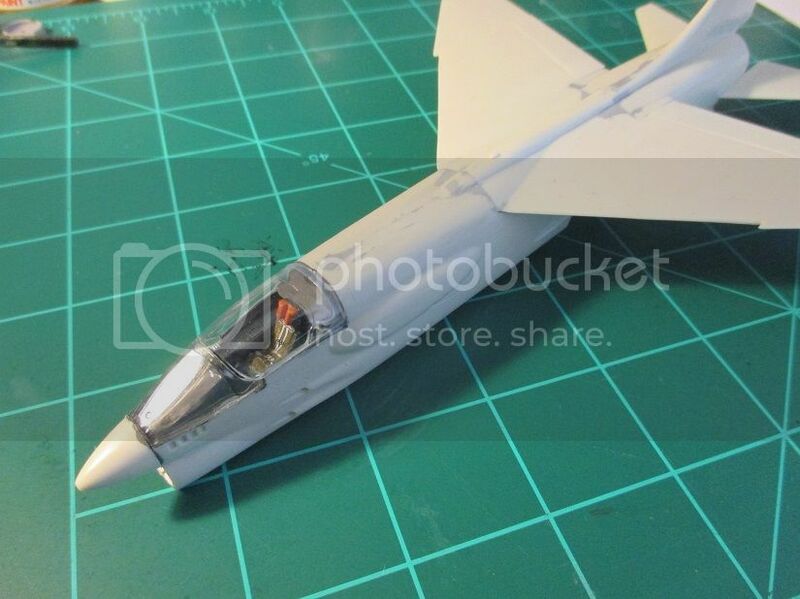 While my Fw190 for ETO is coming to an end I decided to join here with a well known kit from Heller: Dassault Mirage III/5BA. Plain old gull gray over white. Mark, it does look line an F8 now. What color scheme are you thinking of? Eetu , your Gnat is looking real good. 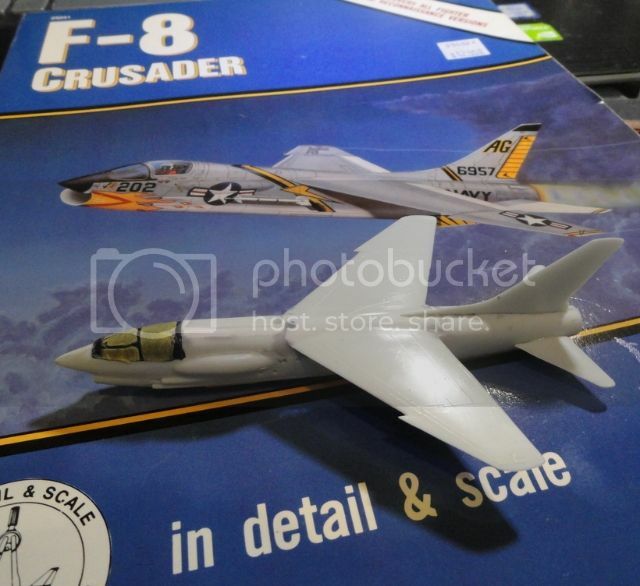 Looking like an F-8 indeed! 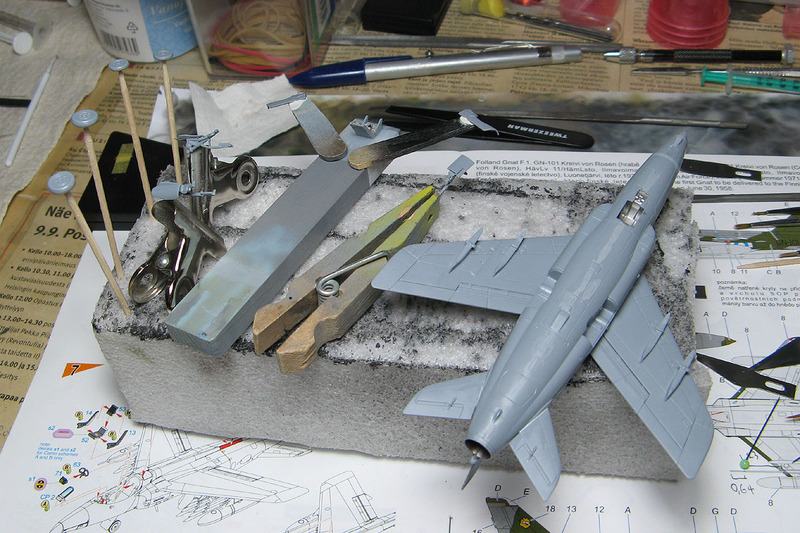 It's starting to look like an F-8. Getting closer to priming stage. The stabilizers fit quite well on the upper side. ...but less well on the underside. Oh well, nothing a little filling won't fix. Seems like spots where stretched sprue will work nicely. 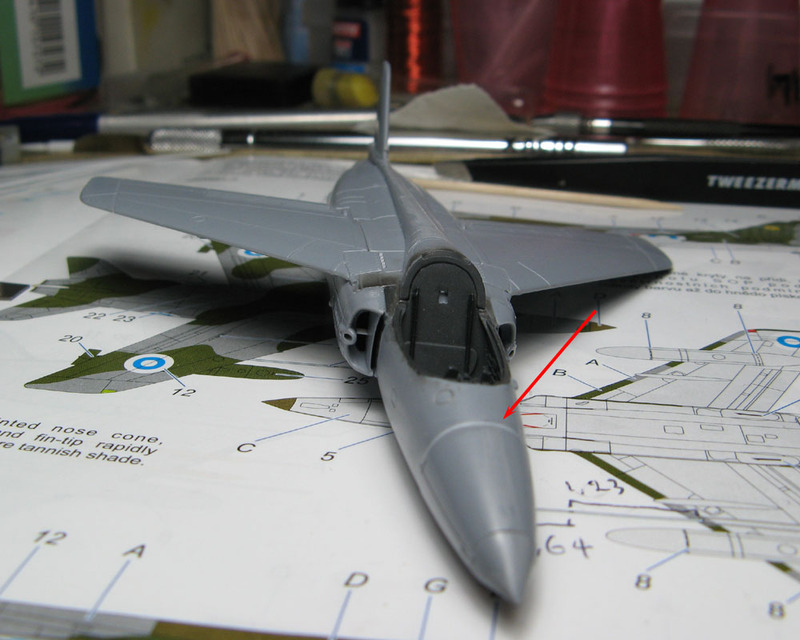 Some of the very few ejector pin marks in need of filling on the landing gear bay doors: one on nose gear door (puttied) and one on each main gear door (sanded). 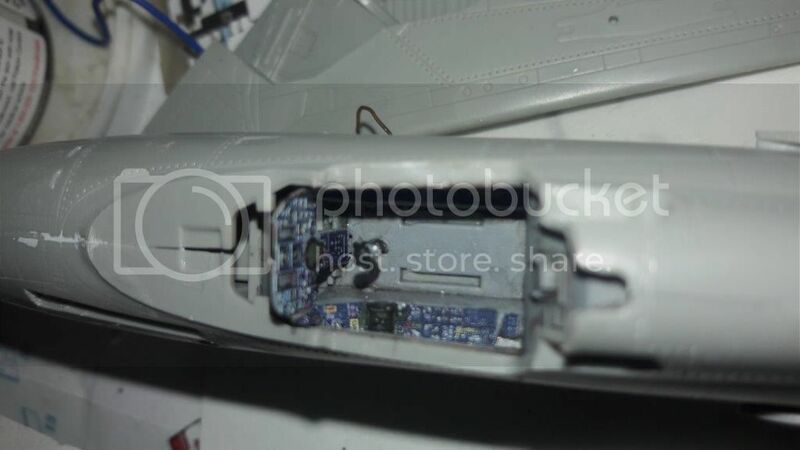 The two on each of the fuselage side main gear bay doors don't need attention since those will be in the closed position when the gear is extended and the inside surfaces won't be visible. @ Mr.K, Very nice choice for a build. Every time I try to obtain a kit of the FORD the price scares me off. Cant wait to see your progress and finish photos. OK, the fuselage mismatch behind the cockpit is all me. 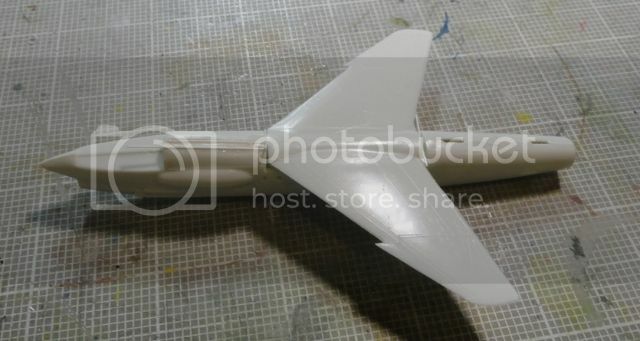 But the fuselage sides being offset to the wing is all ARII's fault. 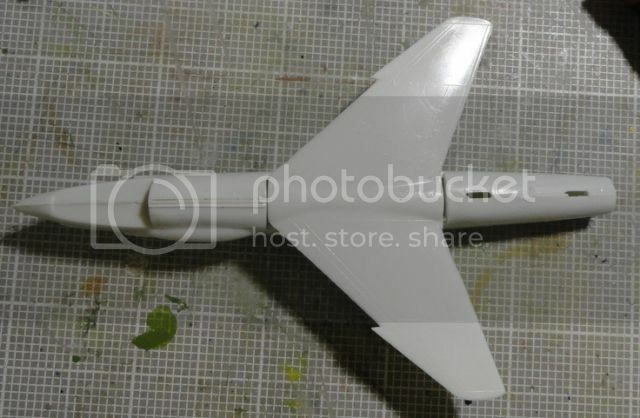 And once I get the wing centered on the fuselage, there's gonna be gaps to fill fore, aft and side. you can pose the wing in the "up" position, and do no filling. 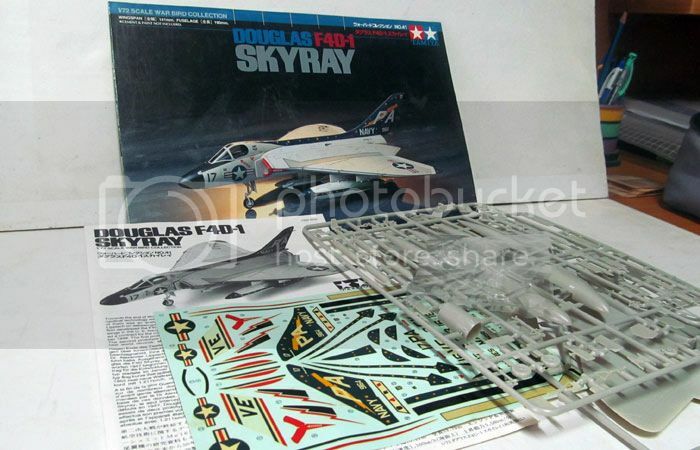 The second Skyray in this campaign, but in 1/72nd, after Lakota's. So far trouble free build. 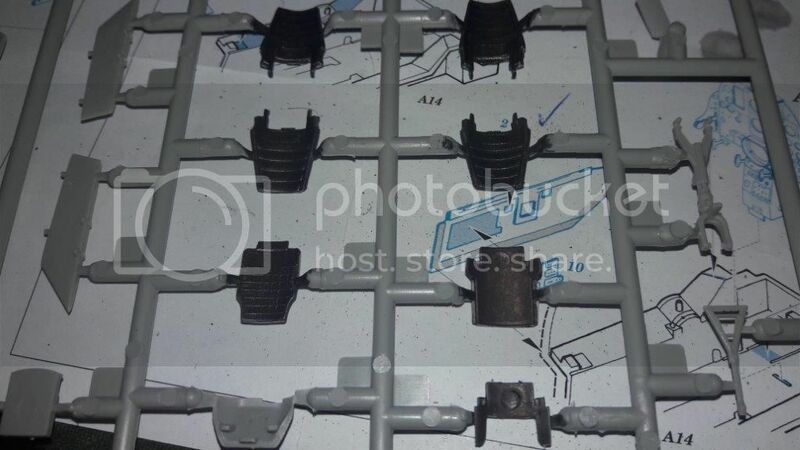 I think next step (engines) will tell how good the fit is in larger parts. 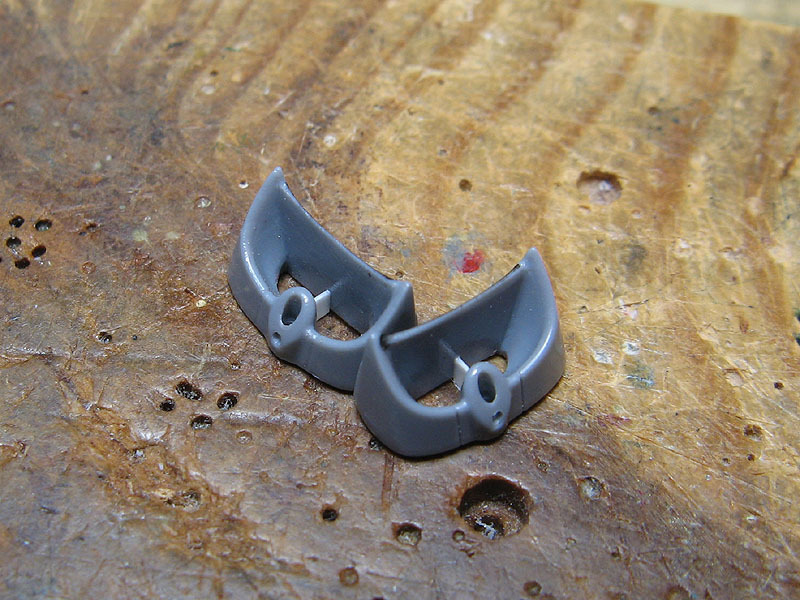 In addition to opening up the intakes a bit and drilling out the cannon ports, I also added guide vanes / supports (someone which ones are they exactly?) made from thing styrene sheet. 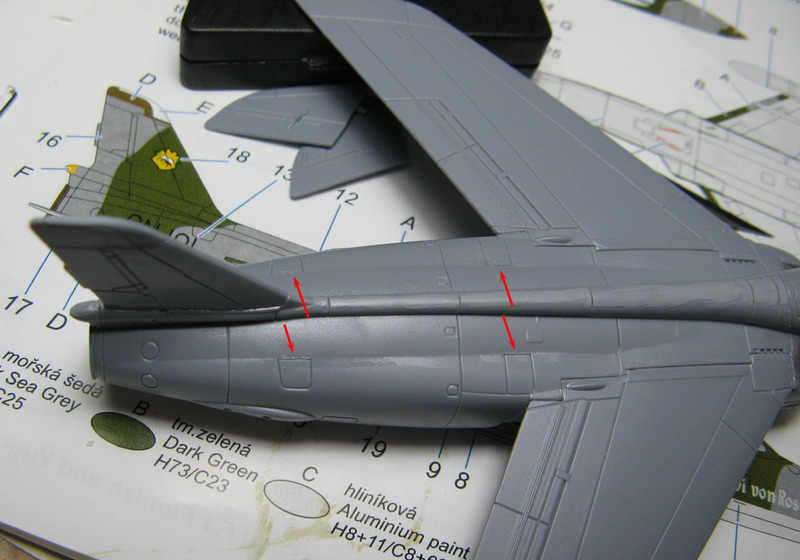 The four maintenance hatches on the upper fuselage lacked the recessed line on that side that face the spine, so those were scribed in to avoid an incomplete look. ...because the added material made the nose point down just a little bit too much. Being dryfitted after being cut off and fit readjusted. Looking much better now! Some gap filling will be needed, though. I was intending to do the Swiss option for the markings, but then I saw that the RAF kite was from September 1963, whereas the Swiss one was from 1994, I felt the RAF option met the spirit of the campaign better, so that's what I'm doing! A week of night shifts starts tonight, so very little progress until the weekeknd, and I'll make a start. 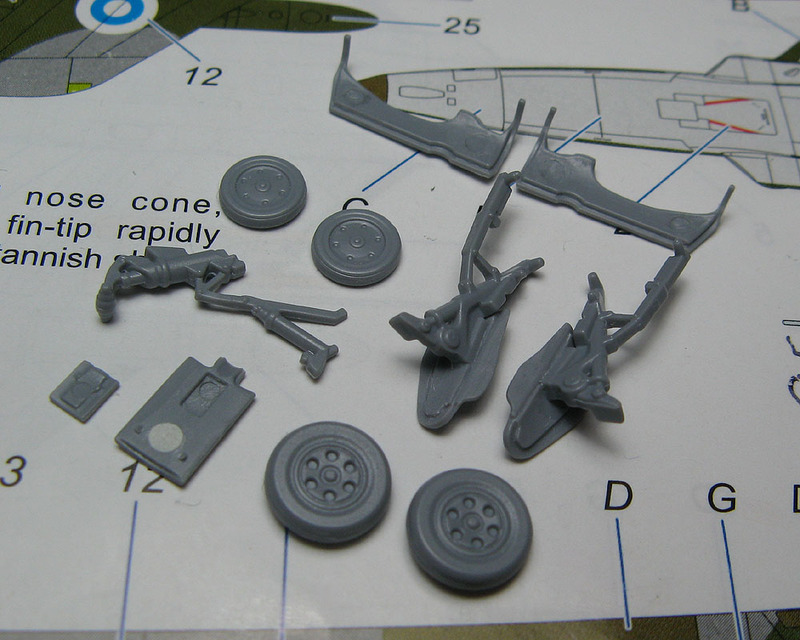 This model is a big deal for me, I'm a careless and impatient kit assembler who usually works in 1/72. Paint stains, puddle of glue! Mark, congrats on getting the wing where you wanted. 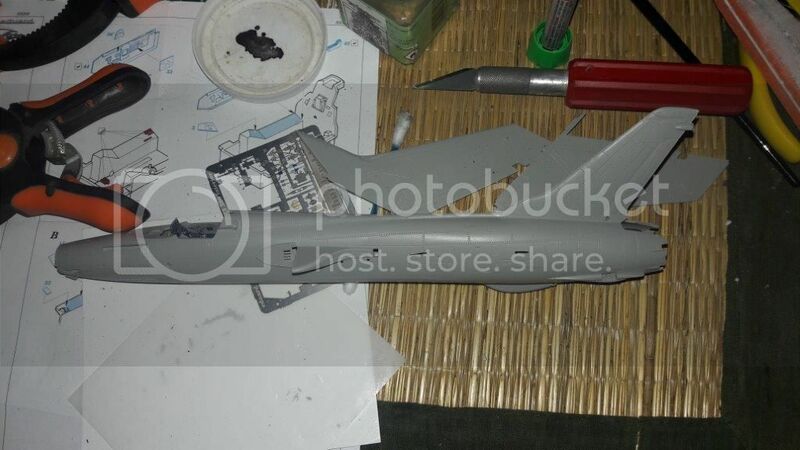 I attached the tail feathers and canopy to the my ESCI F8. Jose, thanks for the information. The only mask wich I know is Eduard, bit only for the Academy kit. I think you need to adapt this. Eetu, I agree with Jose your Gnat is looking good. 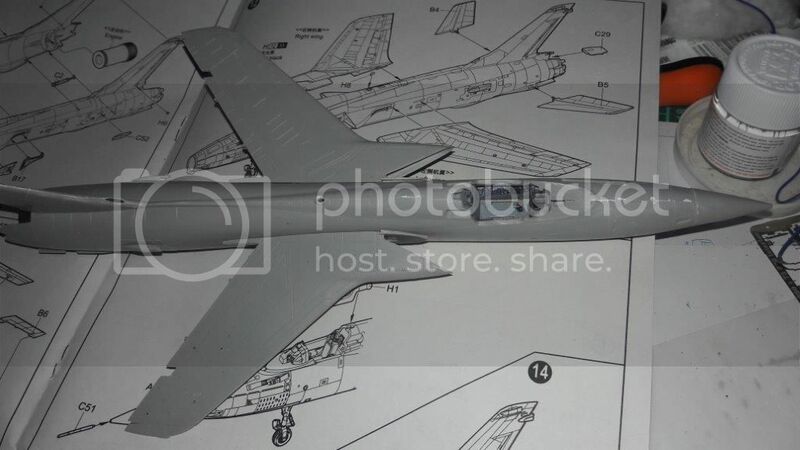 Jose, the 105 is one of my favorite airplanes and cant wait to see yours painted. 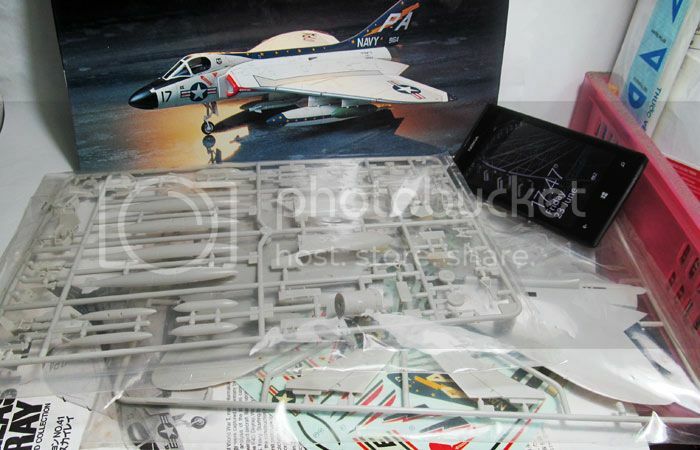 Does anyone know of a mask kit for a 1/72 F8? I am tired of trying to cut tape for the canopy and not doing any good. 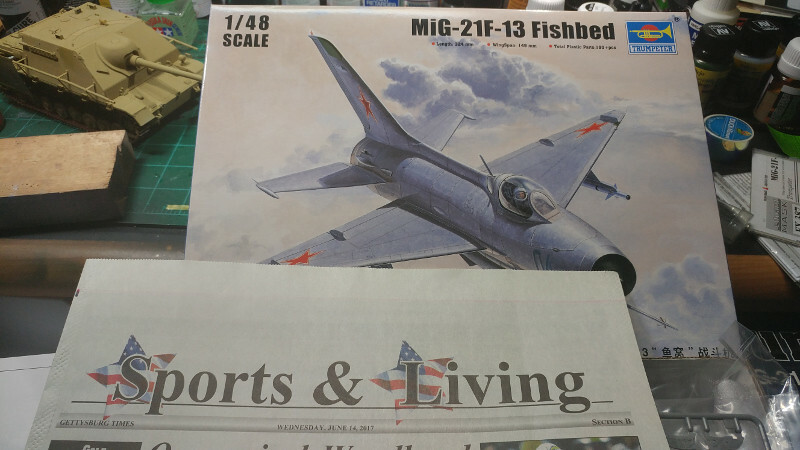 I am going to join the fun with Trumpeter's Mig-21F-13. 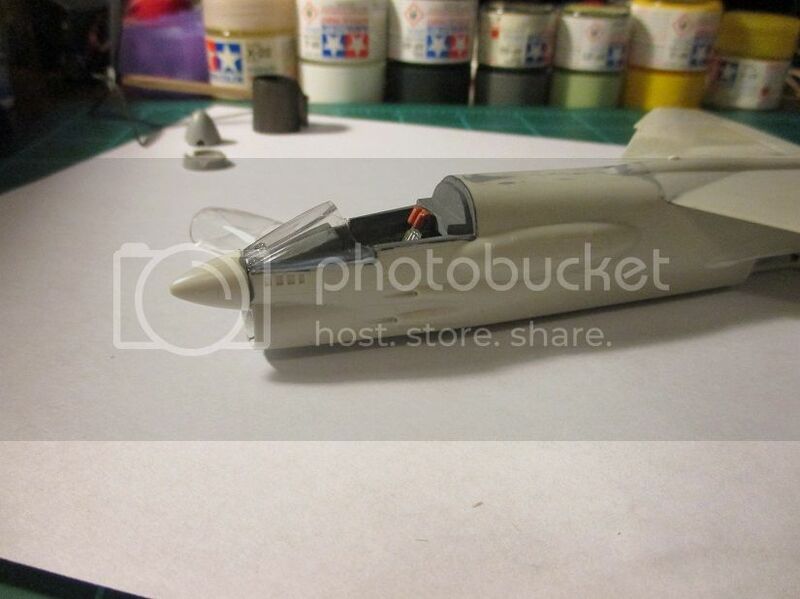 @Pasi : I would love to see your Yak28 build especially in 1/48. Do you know if the kit is available in the US? I ordered it from Lucky Model. I think Bobcat Models is related to Xuntong Models, so if there's a retailer for Xuntong in your area then they might be able to order also Bobcat Models. 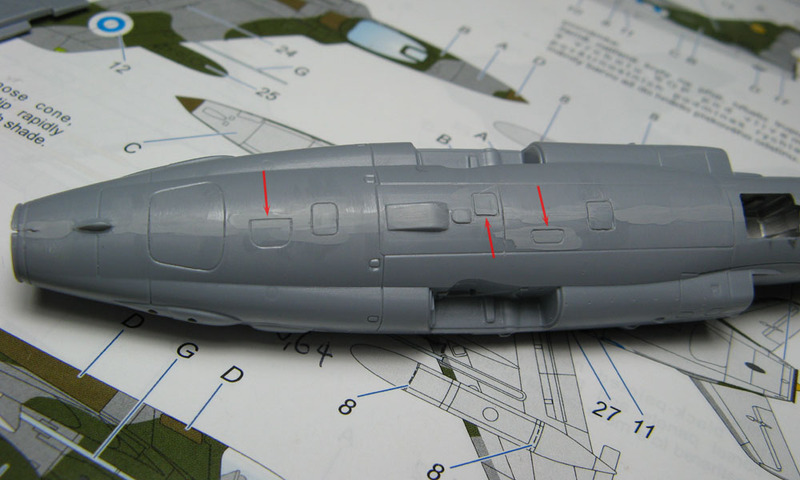 The fit of the fuselage halves was excellent, the seam only needing a nab of superglue at a few spots. 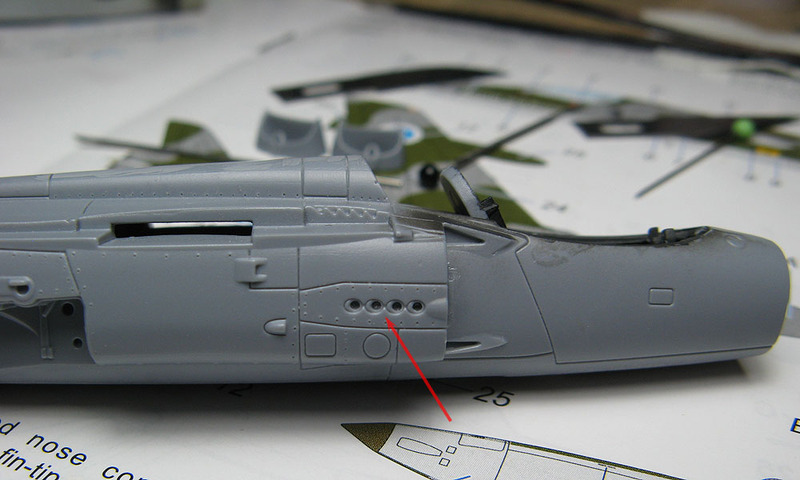 However, a few recessed lines (pointed by arrows) on the underside were missing from what I presume to be maintenance hatches and needed scribing in. 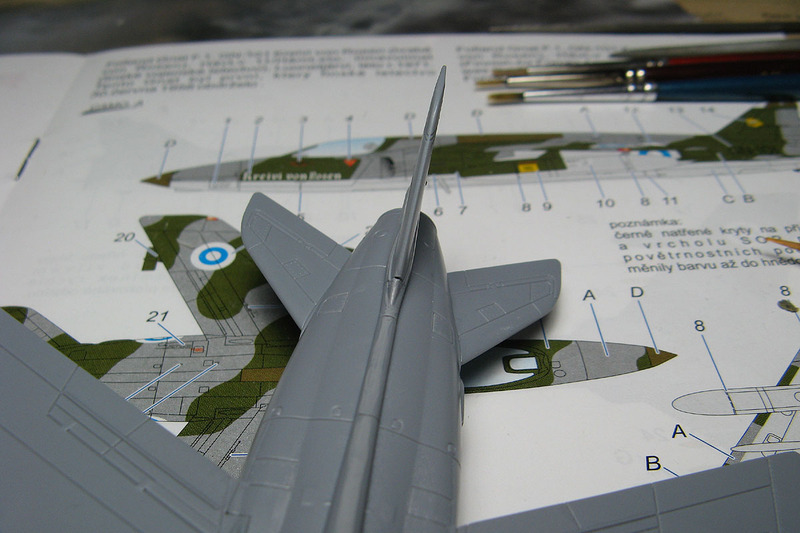 Not finding suitably detailed drawings online, I chose to trust the painting guide drawings of the kit instructions. 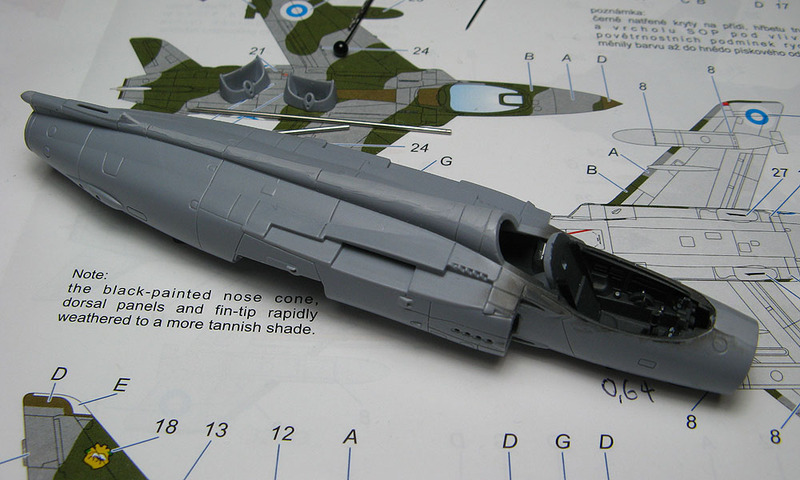 Comparing to photos of the real thing, the 'throats' of the engine intakes were too narrow. Fortunately enlarging them wasn't hard or time-consuming. Still not quite as open as they could be, but I think that'll do in this scale. 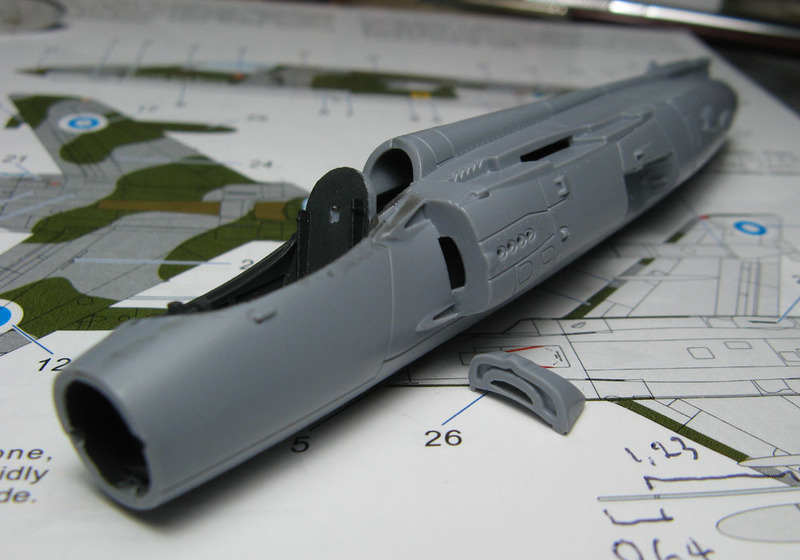 While on it, I also drilled out the cannon ports and drilled deeper the 4 cannon ventilation holes on each side of the front fuselage. And talking of those ventilation holes, they look pretty nice I think, but aren't quite 100% accurate sitting recessed like that. I'm finding myself kind of tempted to try out making more accurate vent pipes from hypodermic needle cut to length and filed to an angle. 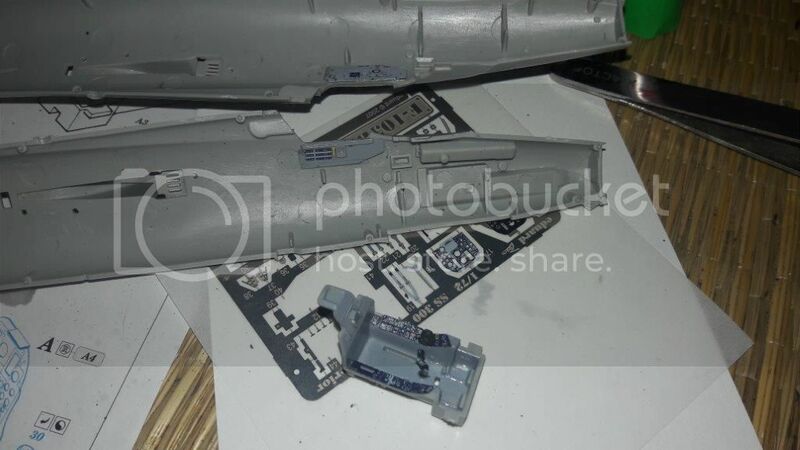 If a bit tedious to do, those would not only be more faithful to the original, but also ease painting since they could be attached during final assembly, instead of needing a crazy steady hand with an equally small brush, or having to paint the vent pipes and then touch up their surroundings to get a clean result. P.s. 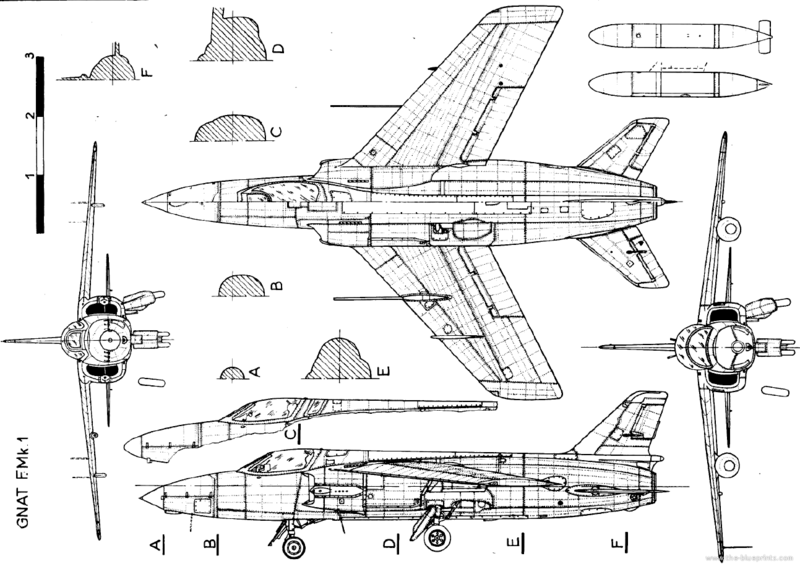 anyone know if this set of drawings is anywhere near accurate in case I end up wanting to do some riveting on my model?